Rainbow Flag Series 1: A nice blue Flag with a nylon texture waving. 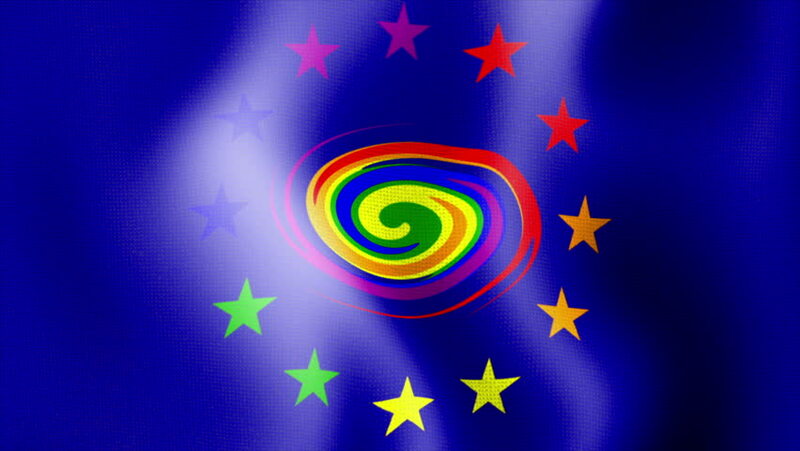 The sign shows the europe nation symbol and a swirl in rainbow colors. hd00:13Endless spinning futuristic Spiral. Seamless looping footage. Abstract helix. hd00:30New Year video cartoon. Four pigs go on cars in the woods. Congratulations on the New Year and Christmas. New 2019 year. Text in English language. hd00:20Growing and disappearing floral pattern.